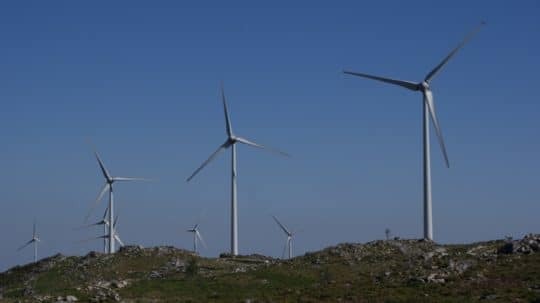 Originally commissioned in 2008, the Arada-Montemuro wind farm in central Portugal has now been extended by 9.2 MW in 2015, increasing its total installed capacity to 121 MW. Its initial configuration of 56 turbines each with 2 MW in unit capacity has been boosted by the addition of four 2.3 MW turbines. Adding the São Pedro power capacity, which was delivered the same year, the 133 MW generated are equivalent to the annual electricity consumption of an average 255,000 Portuguese citizens.